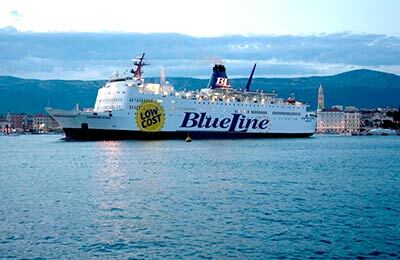 Blue Line International is the international maritime company specialising in the transport of passengers and vehicles between Croatia and Italy. You can use AFerry to book Blue Line ferries to Ancona, Split and Hvar. See below for the latest Blue Line ferry prices and sailing times. Click on your ferry route for a detailed Blue Line timetable. Blue Line crew and staff will meet your expectations during your journey, offering you a first class service and top quality gastronomic experiences at their à la carte and self-service restaurants. You will also find other offers in in their bars and duty free shops. 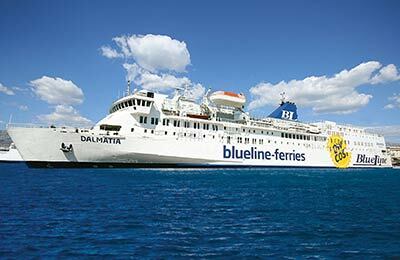 Blue Line ferries operate two modern and comfortable ships, the Regina della Pace and the Dalmatia. 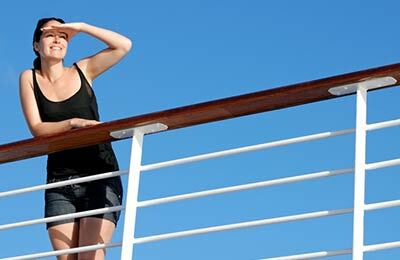 Blue Line's cheap prices mean it is the first LOW COST maritime company in the Mediterranean. By using this LOW COST model, Blue Line manages to be one of the most price competitive companies on the Croatia - Italy route not just for the cost of travel but also for cabin accommodation. Once you've travelled on board, you'll be coming back to Blue Line with a smile on your face. How long before departure should I arrive for Blue Line Ferries? Collecting boarding pass in Ancona was an adventure in itself. this office is amongst the industrial loading dock area and the passenger embarkation happens at the other end of the area. A lot of passengers found themselves rushing back to the harbour office. We booked an above deck cabin.They are tiny. Linen clean and fresh. Cabin and en-suite overall clean- shower curtain hem and sealant mouldy. The main sitting areas and dining areas of the boat really need a new fit out- stained and worn. The staff were pleasant and helpful.The overnight trip was easy and given one arrives in Split no further concerns with more transport to get to accommodation. The food was a bit average. We hadn't had dinner so expected to dine on board, which we did but the food wasn't great. We were offered Blue Line and SNAV on your site we chose Blue Line as it was more expensive and assumed it was the better ship. However the ship we travelled on was owned by SNAV which we could have had cheeper, seems they run alternatively. Main gripe was no on board Bureau de Change on board. Restaurant was really good, Cabin OK. The check in was not good at all. It was along way from the ships departure berth. I went down a day ahead to check in and the check in counter was closed. Had to make another trip on departure day and take a bus to the ship berth. The on board food and staff were very good though. There were many options of what and where to eat. My berth was comfortable. We arrived destination on time.